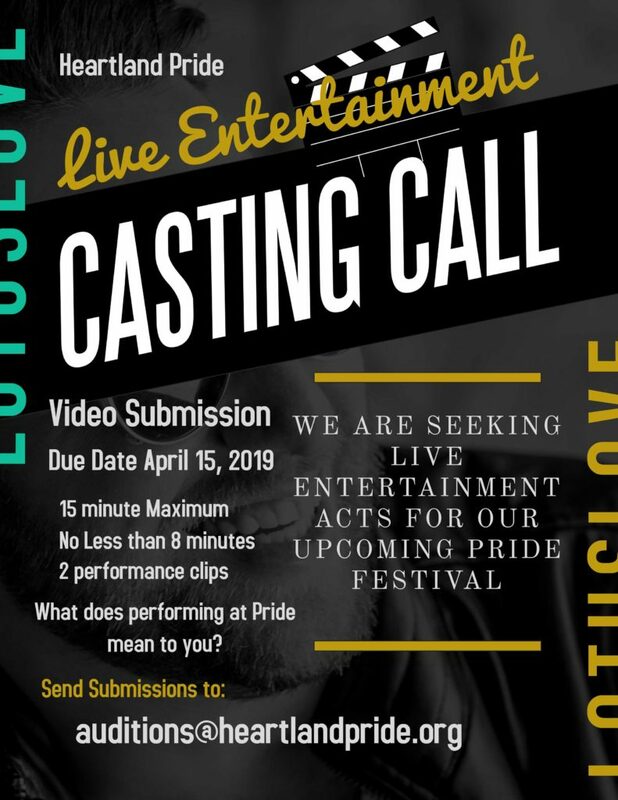 We are seeking live entertainment acts for our 2019 Pride Festival. Video submissions are due April 15, 2019. No less than 8 minutes. And a description of “What does performing at Pride mean to you” (written or video).